If you are looking for a new smartphone, check out the amazing Cubot X15, coming from China and sold on GearBest. China is taking the global smartphone market by storm with its smartphones that, for much lower prices, have very similar specs in terms of hardware to those of the flagship phones, from brands like Apple, Samsung or HTC. GearBest is now selling the amazing Cubot X15, a dual-SIM smartphone with a very distinct design. With its 5.5″ FHD screen, boosting a native resolution of 1920×1080 pixels, the X15 comes loaded with Android 5.1, one of the latest versions of Google’s mobile operating system. 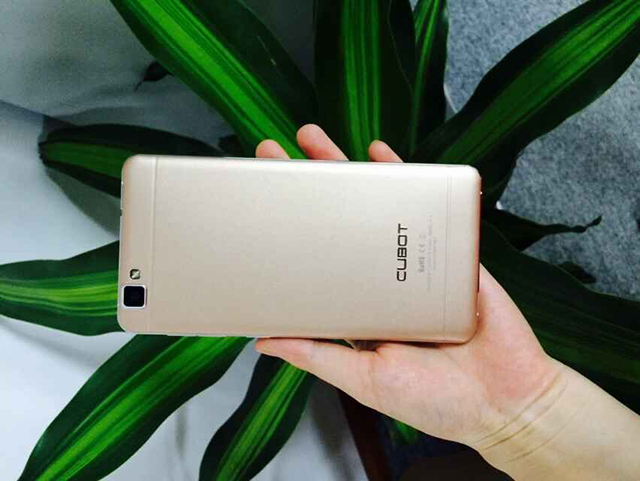 In terms of hardware, the Cubot X15 comes with a MTK6735 64bit Quad Core 1.3GHz CPU, 2GB of RAM and 16GB of internal storage, extendable up until 32GB with the use of an SD card. Its cameras are also very appealing – the back camera brings 16.0MP and a f/1.8 aperture, while the front camera prompts 8.0MP and a f/2.0 aperture. Shipping with a 2500mAh battery, which should be enough for one day of average use, the X15 promises to be a solid companion, providing an excellent performance without you needing to empty your wallet. It is now up for sale on GearBest, shipping from China for the nifty price of $165.99.